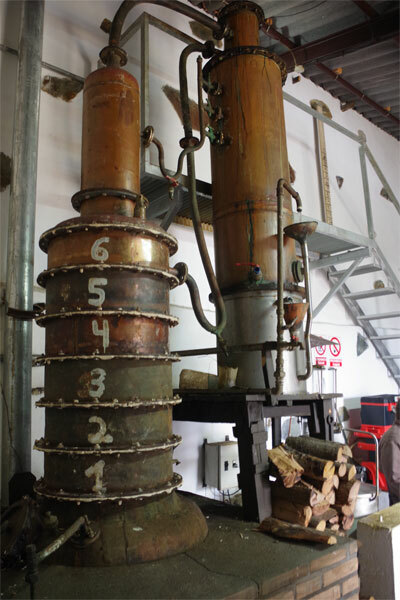 It’s been some time since I wrote about the rum factory (the Aldea distillery) at Puerto Espíndola, in the borough of San Andres y Sauces, and some things have changed. 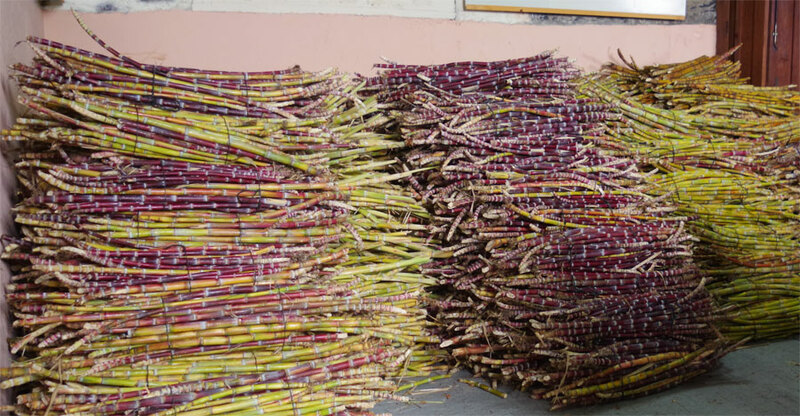 Unlike most rum factories, they still start with sugar cane rather than molasses. 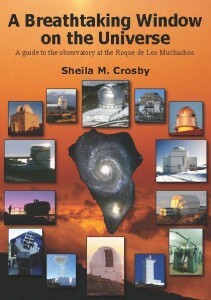 After all, sugar cane has been grown on La Palma since the 15th century, before the West Indies did. 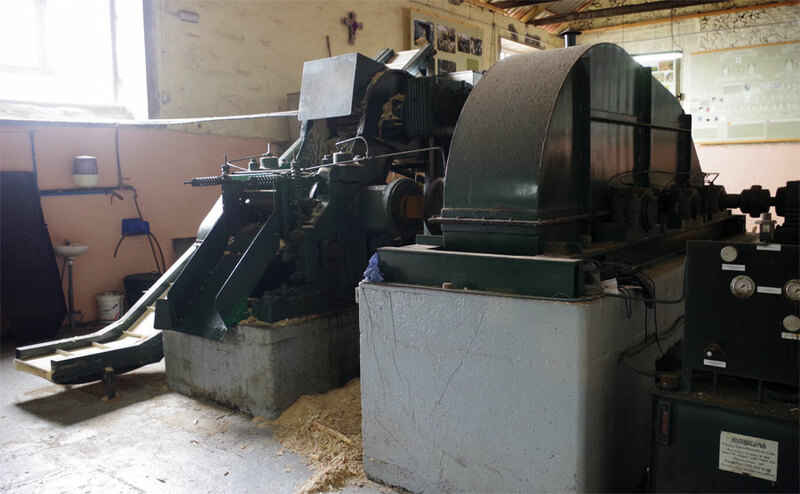 At present it’s harvesting season, and the factory’s south building smells of sugar cane being crushed and fermented. 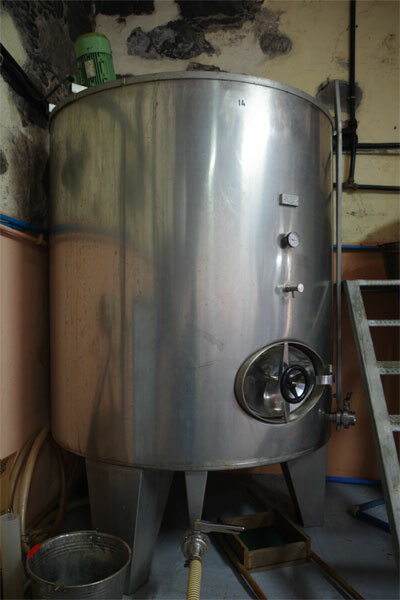 Once the juice has been extracted it goes into the fermentation tank, and then into the wood-fired still. Then the rum goes into oak barrels, to mature, and finally into bottle. These days the south building includes a ship selling their own rum and rum liqueurs, plus other things from the island, like cigars and sea salt. You can taste the various kinds of rum, whisky, vodka and gin (1€ or 1.50€) and obviously you can buy miniatures, half bottles and bottles. They also have a video of rum production. At noon there’s a guided tour around the factory (4€). Whether I go with a coach load of tourists from a cruise ship, or with friends, people always seem to leave in a very good mood.